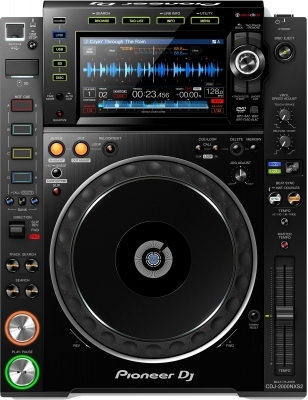 Hot New Pioneer CDJ-2000NXS2 DJ Multi Player comes with all the best CDJ-2000 Nexus features, improved sound, performance control and with plenty of new additions. 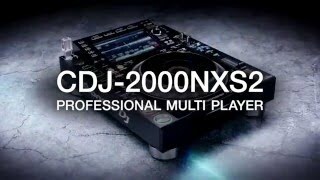 The CDJ 2000NXS2 is the new Pioneer Nexus generation that boasts the highest standards of the audio quality: 96 kHz/24-bit sound card and support for FLAC/ALAC audio files beside MP3, WAV, AAC,and AIFF. Digital Signal Processing is improved and with a high-performance 32-bit D/A converter and separate analogue power supply we are getting noise reduced sound. Pioneer CDJ2000 NXS2 with new 7-inch large, touchscreen with Track Filter plus Qwerty Keyboard for Keyword Search, bring us intuitive and fast browsing, track selection and loading, including track details based on Recordbox information (BPM, My Tags or key). All the important info we can follow on the Multicoloured wave display - Wave Zoom. The Needle Countdown and Phase Meter enable us to touch a point on the track and to see how many beats away it is. This is one of the biggest step forward that Pioneer made in visual sound design. CDJ-2000NXS2 inherited from previous Pioneer CDJ model Beat Sync, Slip Mode and Auto Cue Load but with 8 colour-coded Hot Cues - two banks of four colour-illuminated Hot Cues, which can be configured using Rekordbox or with new simplified workflow for editing on the fly – we are getting more mixing control. Additional Midi controller connection such as DDJ-SP1 is available. With one USB cable connected with DDJ-SP1 add-on-controller we can control up to up to 4 CDJ-2000NXS2s using Pro DJ Link, consequently getting access to more Hot Cues, slip mode, browsing, loops. To rich more reliable performance with greater precision we can use fractional beat quantizing. Three-position lever for Slip Reverse, Forward and Reverse. With Pro DJ Link we can connect up to 4 players, turntables or laptops via a simple LAN connection and in combination with Recordbox we are getting a lot of information and features such as Beat Sync, Beat Countdown, Beat Jump and Phase Meter. Pioneer added to CDJ-2000NXS2 player more detailed Phase Meter, improved beat grids that are accurate to the microsecond, exactly matching the rekordbox beat grid, Quantized Beat Jump. As usual, we prepare and analyse our tracks in rekordbox and all the vital information we can view on the player’s screen, including BPM, Beat Countdown and Phase Meter. 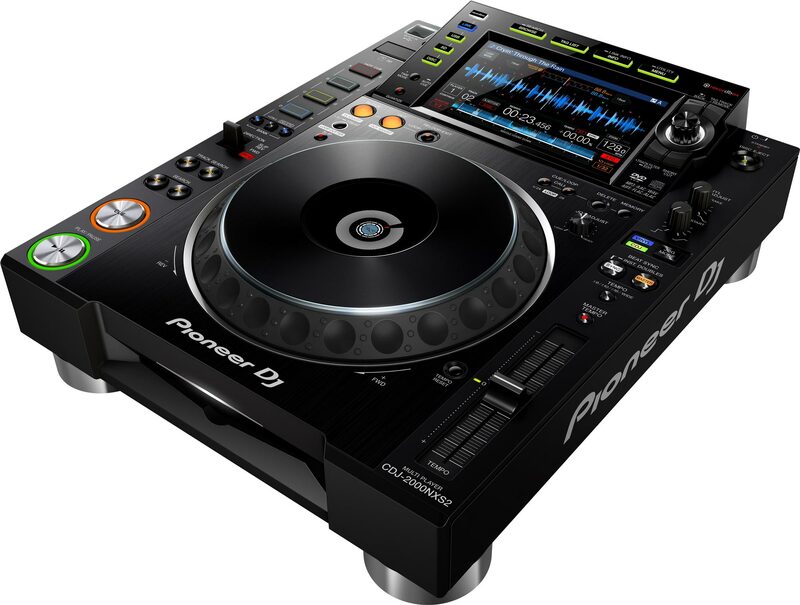 Now, in the new CDJ-2000NXS2 Mediaplayer, Pioneer comes with Memory Cues. This feature enable us to name a cue, give it a particular colour, and view that information on the CDJ-2000NXS2’s screen.